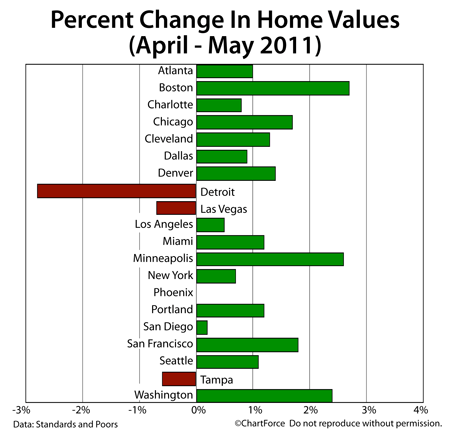 Unfortunately, national data isn’t always helpful for buyers and sellers in Rancho Santa Margarita and nationwide. To help make data more relevant, therefore, the official Pending Home Sales Index report includes a region-by-region breakdown. For everyday buyers and sellers in Orange County , it’s the local data that matters. The Case-Schiller Index reports on a housing market from 2 months ago — hardly helpful for today’s buyers and sellers in Rancho Santa Margarita , trying to make sense of today’s real estate market data. When you want real-time housing market data, therefore, for Orange County or anywhere else, look past the Case-Shiller Index and talk to a real estate professional instead. It’s where you’ll get your best, most relevant information. 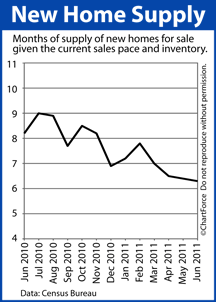 Home builders are slowly reducing inventory. 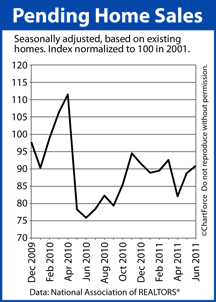 According to Census Bureau data, the number of new homes slid 1 percent from May. On a seasonally-adjusted, annualized basis, home buyers bought 312,000 newly-built homes last month. It’s the third straight month of falling sales and the headline data casts the Trabuco Canyon housing market in a negative light. Upon closer inspection, however, the numbers appear quite strong. At today’s sales pace, the complete new home inventory would be sold in 6.3 months — the quickest sell-out window since the expiration of the 2010 federal home buyer tax credit. Builders are feeling better about their business, too. After falling to a 9-month low, homebuilder confidence rebounded this month, boosted by expectations for a strong fall season. For buyers across California , this could be seen as a market-shifting signal. When builder confidence rises, negotiating for upgrades and price reductions can be tougher; “good deals” get scarce. If you’re a home buyer and are considering new construction, don’t let the headlines fool you. Sales figures are slipping, but that’s because there are fewer homes are for sale nationwide. 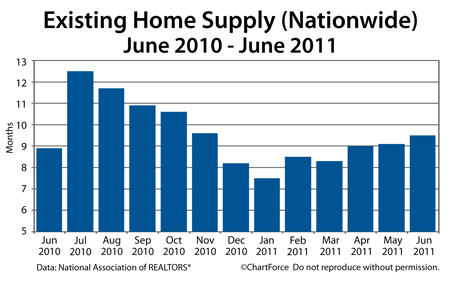 The inventory is shrinking and that can push home prices higher. With mortgage rates still low, today’s market may be your best value of the year. The FHA is insuring a greater percentage of loans than during any time in recent history. In 2006, it insured roughly 5 percent of the purchase mortgage market. Today, it insures one-quarter. “Going FHA” is more common than ever before — but is it better? The answer — like most things in mortgage — depends on your circumstance. Like its conforming counterpart, an FHA-insured mortgage is available as a fixed-rate loan and as an adjustable-rate one. Payments are made monthly and come without prepayment penalties. That’s where the similarities end, however, and decision-making begins. For homeowners and buyers across Rancho Santa Margarita , FHA mortgages carry a different set rules as compared to conforming loans through Fannie Mae or Freddie Mac that can render them more — or less — attractive for financing. FHA mortgages can be assumed by a subsequent buyer. Conforming loans may not. FHA mortgages require mortgage insurance, regardless of downpayment. Conforming loans do not. FHA mortgages do not have loan-level pricing adjustment. Conforming loans do. FHA mortgages also require smaller downpayment requirements versus a comparable conforming mortgage. 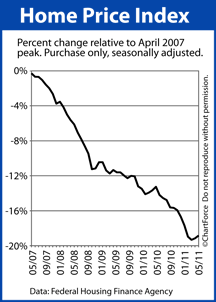 FHA calls for a minimum downpayment of 3.5%. Conforming mortgages often require 5 percent or more. And, lastly, FHA mortgages are priced differently from conforming ones. 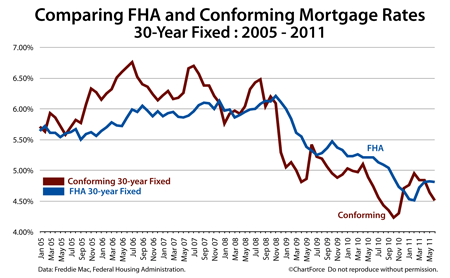 Since 2005, the average FHA mortgage rate has been below the average conforming mortgage rate more than 50% of the time, meaning that an FHA mortgage’s principal + interest payment is lower than a comparable Fannie/Freddie loan. Today, conforming mortgage rates are lower. So, which is better — FHA loans or conforming ones? Like most things in mortgage, it depends. FHA-insured loans can be big money-savers or money-wasters. To find out which is best for you, ask your loan officer for today’s market interest rates and study the results. With less than 20% equity, the answer is often clear. Comments Off on Is An FHA Mortgage Better Than A Conforming One? 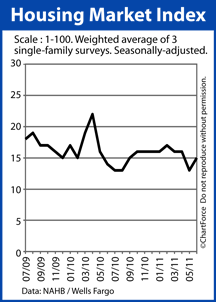 Last week, conforming and FHA fixed mortgage rates increased in California and for the first time in 3 weeks. 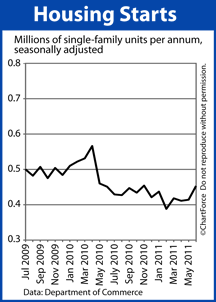 Adjustable-rate mortgages slipped slightly. As a home seller in Rancho Santa Margarita , you may appreciate news such as “rising home prices”, but it’s important to remember that the Home Price Index has a several built-in flaws — the biggest of which its age. The Home Price Index is a useful gauge for economists and law-makers; it shows long-term national trends in the housing market which can be used to allocate resources to a project, or to form new policy. For home buyers across the state of California , though, it’s less helpful. For data in Coto de Caza or your local market, talk to your real estate agent. For buyers of new construction, the news is mixed. Rising confidence may mean that builders in Trabuco Canyon are less willing to negotiate on upgrades and/or price, but rising construction levels add inventory to an already fragile market. If you’re buying new construction in California , ask your real estate agent about local home supply, and how the market is trending. With mortgage rates low and the fall buying season approaching, you may find some of your best deals in the next few weeks. That could spell bad news for Coto de Caza home buyers. 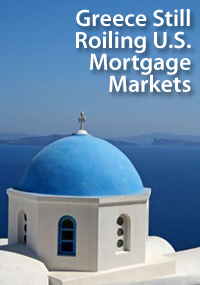 Mortgage markets worsened last week as concerns for the global economy drove new rounds of “safe haven” buying. Fear continues to dominate mortgage bond market movement and California rate shoppers are benefiting. Conforming and FHA mortgage rates fell for the second straight week last week, and closed out Friday with favorable momentum to the downside. There were three main mortgage market drivers last week. The first is tied to the Eurozone. The second story was the just-released Fed Minutes. Notes from the FOMC meeting showed that Ben Bernanke & Co. debated a slowing U.S. economy, the weakening domestic jobs market, and whether a third round of economic stimulus would be necessary. This, too, dragged mortgage rates lower. The third story is one that’s still forming — the U.S. Debt Ceiling Debate. For now, the issue remains on the market periphery, but as the August 2 debt limit deadline nears, expect more influence over day-to-day mortgage rates. Rates can only stay low for so long.